This is a guest post by Salvatore Sciacca. “I know. I thought you are supposed to make lemonade when life gives you lemons. But then again most people are too busy reacting to the fact that life has given them lemons instead of cream puffs, gold coins or manna from heaven for that matter. So let’s start by discussing acceptance before we can actually discuss the recipe for Limoncello. Acceptance is a critical part of life’s journey especially when it comes to transforming one’s life. If you are not willing to accept the situation at hand, it will be virtually impossible to make a sound and healthy decision on how to close the chapter that represents your old self and open a new one representing your new and improved self. For example, when I was younger, I thought that I would NEVER get divorced once I got married. I was raised as a devout Catholic and divorce was instilled in me as a major taboo and “NO NO”. And as a result, while I was growing up, I thought that people who were married and divorced were failures. I even thought my 1st marriage counselor who was a Jewish Rabbi on his 3rd marriage was not only a complete failure but totally unqualified to offer marriage counseling advice. Fast forward to today, I have completed changed my perspective and appreciation for people. For starters, I’m now divorced twice and actually believe that “three’s a charm”. I also have a new found appreciation for people who are divorced as I have gone through the shame, guilt and humiliation that is often associated with the process. And I now think my former Jewish marriage counsel was probably highly qualified to help distressed marital relationships because of his experiences. And I now wake up in the morning knowing that I am not only OKAY but that I now feel better than I have ever felt about myself because I have learned to accept my failed marriages of the past. The irony of the situation is that I probably would have never gotten to this state of greater well being and consciousness had I not gone through the 2 previous marriages. So Then How Do You Make Limoncello? My 2 previous marriages gave me more lemons that I could have ever imagined. And trust me when I say this, I like lemonade but am NOT that crazy about it. But many years ago, my cousin Tony invited me over to make Grappa with him which is a main ingredient to Limoncello. In order to make Grappa, you literally transform grape skins into a refined high content alcoholic after dinner drink that Italians have made famous. Now one of the MOST important steps while making Grappa is the purification process. During this step, the fermented liquid is run through a distillation process that purifies the liquid and leaves the precious Grappa byproduct. This is a very painstaking process and takes quite a bit of time to go through all the steps. Once the Grappa is created, the Limoncello is made by essentially soaking a hand full of lemons in Grappa and sugar for a few weeks. 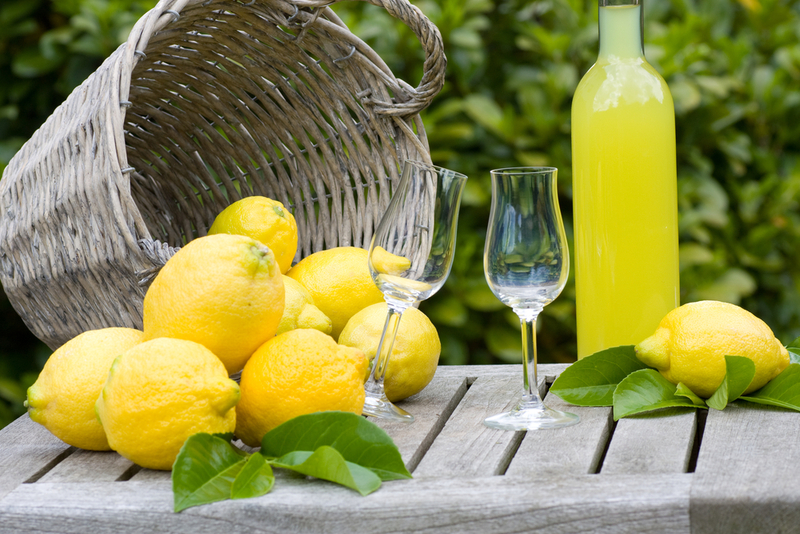 With this Limoncello making experience, I have come to realize that Limoncello making is symbolic of my life’s journey. I have come to realize how important it is to go through my own purification process which is helping me let go of the past and is helping me shed the impurities that have held me back over so many years of my life. Had I simply squeezed a handful of lemons into a cup and added a few tablespoons of sugar, I would have never gotten to where I am at today. Salvatore J. Sciacca aka “Condoboss” is one of the nation’s leading experts in the community property management industry. He is also the President and Founder of Chicago Property Services, Chicago’s #1 community property management company specializing in management and operations of condos/townhomes/HOA’s of 100 units and under. Next Post New Moon + Eclipse: Come on Baby Light My Ring of Fire!